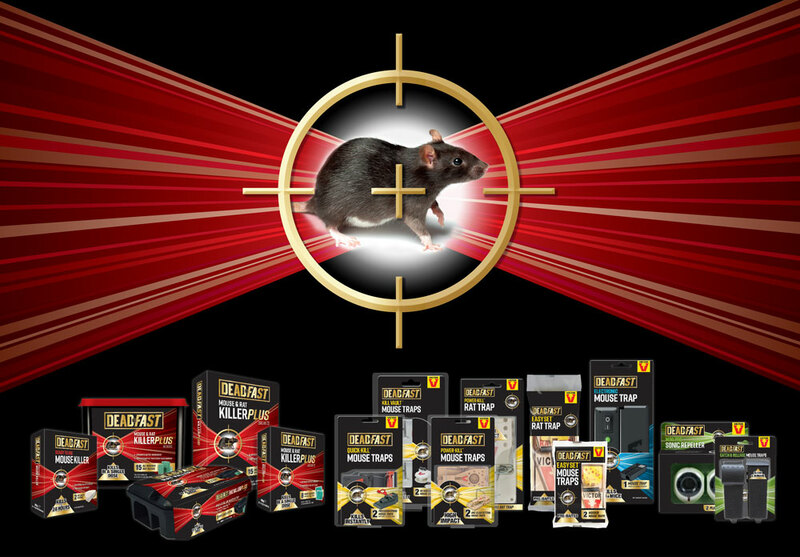 Leading horticultural brand Westland wanted to grow their share of the rodenticides category with the launch of a technically superior, innovative range of products. We were asked to create new packaging that communicated this positioning and had standout in the fragmented, cluttered category. 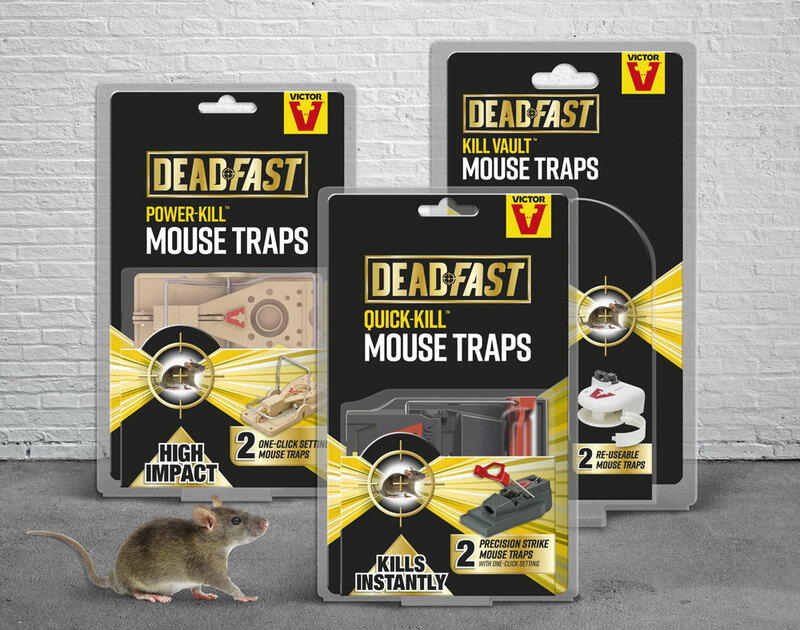 Most importantly, the packs had to give total reassurance that the products would do the job – this is definitely one category where consumer confidence is key to the purchase decision. 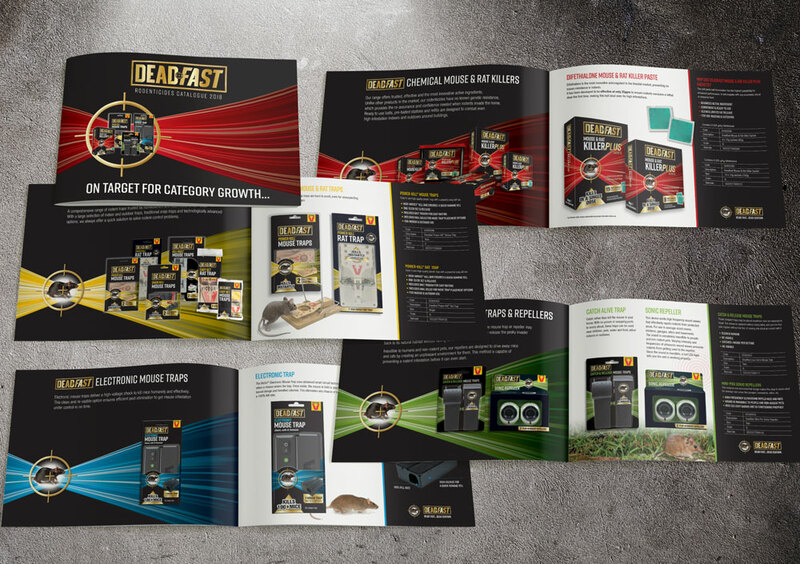 Our new black and gold Deadfast identity immediately gives the packs premium and strength cues as well as impact on the cluttered fixture. The target device is a strong brand asset that is integrated into the identity and also used as key design element on pack. 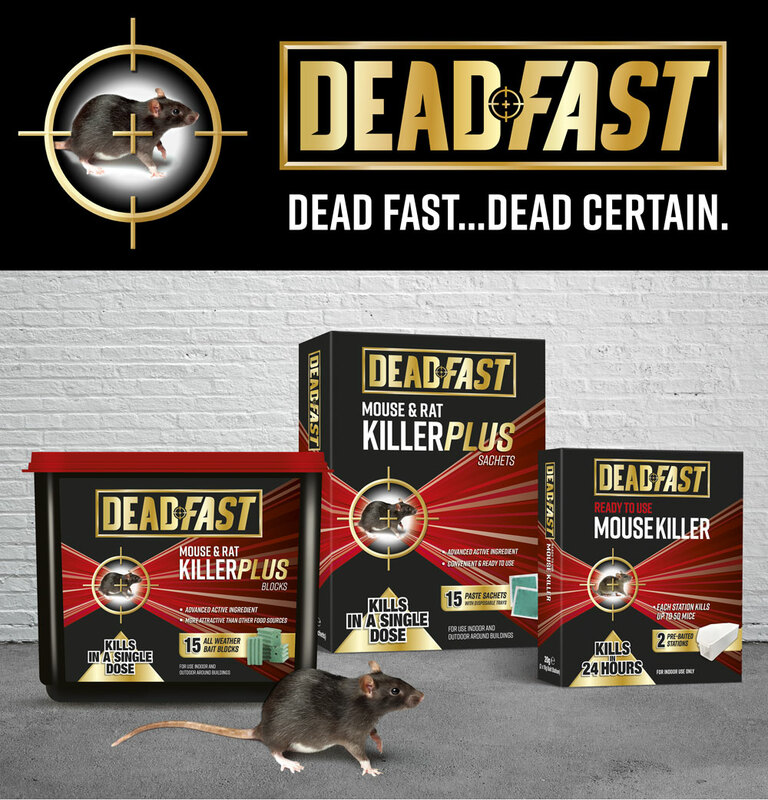 It visually communicates the deadly efficacy of the products and is reinforced by our ‘Dead Fast…Dead Certain’ strapline. Strong colour coding increases standout and helps consumers navigate the range selecting from chemical, mechanical, electronic or humane options. “DGI have created a range of packs which perfectly meet our brief. They look premium versus the competition and effectively communicate the innovative product formulations and trap designs. The messaging is very clear making it easy for shoppers to quickly navigate through the range – so important in this low frequency, distress purchase category.